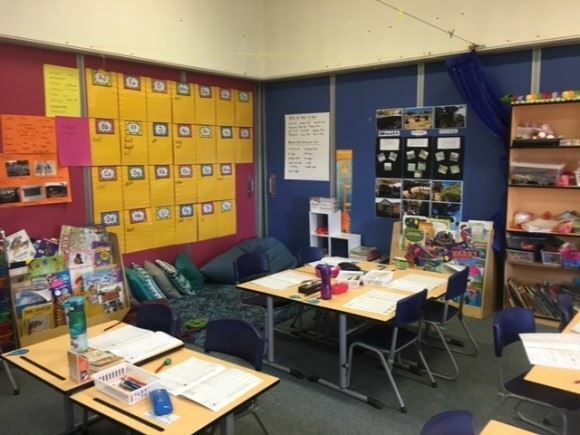 St Francis of Assisi Primary School in Calwell is approximately 30 years old, and is undergoing renewal in accordance with a master plan developed over the last five years. Block D refurbishment is opening up a 6 classroom block built in the late 1980s to 6 contemporary learning studios, with shared collaboration, maker space wet areas, a presentation space with tiered floor, two staff areas and a meeting room. Contemporary Learning Environments provide the spaces for children to follow individual learning plans in a collaborative, flexible way. Large sliding doors provide easy separation and combination of teaching spaces, and wall surfaces are either writable or pinnable acoustic panel. 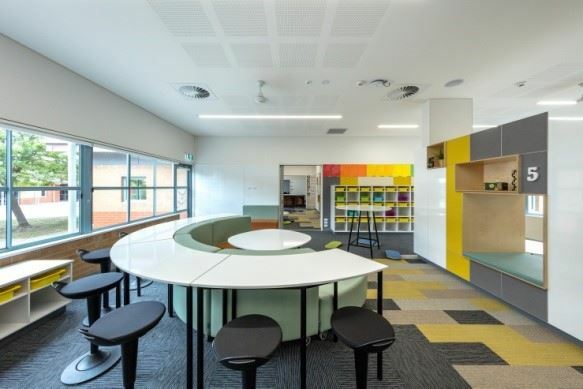 Bespoke joinery units provide storage, display, visual separation, power and data and seating for collaborative learning. Self-directed learning can now be encouraged, expanding the opportunities for individual children. 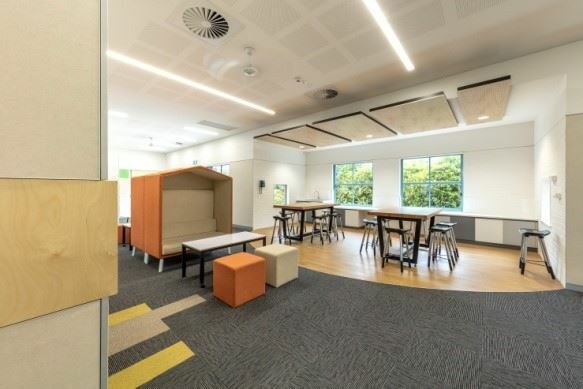 The spaces incorporate electronic technologies, writable walls and desk tops, and acoustic display panels to support educators in delivering the curriculum, as well as encouraging students’ innovation and inquisitive ideas to reach their full potential. The loose furniture is a vital part of the project, allowing flexible use of each space. Children can move themselves and the furniture in order to maintain concentration through varied seating or standing positions.